Driving around Portugal’s Algarve is pretty straightforward. At least it is once you get used to local driving styles and customs! However, there are plenty of reasons why you might prefer to live a car-free life. Thankfully, Algarve public transport is very much up to the task of making that possible. Perhaps you’d like to minimise your environmental footprint or avoid the fear of paying for damage to a hire car. Maybe you’d rather avoid potential bureaucratic hassles around driving licenses, especially when Brexit could have an impact on the requirements. Or perhaps you’d just like the freedom to say “yes” to that chilled bottle of vinho verde at lunchtime! Whatever your reasons, if you’d like to go car free in Portugal, this article will help. Here we present five destinations where you can make the best use of Algarve public transport. For more Portuguese transport options, click here, and if you are still planning on driving in Portugal and maybe bringing and registering your own car, check out our guide to driving in Portugal. As you go through this list of destinations, you may wonder why there seems to be a bias in the direction of towns in the East Algarve. There are plenty of bus routes that cover the Algarve, and there’s also a train line covering almost the entire width of the region. 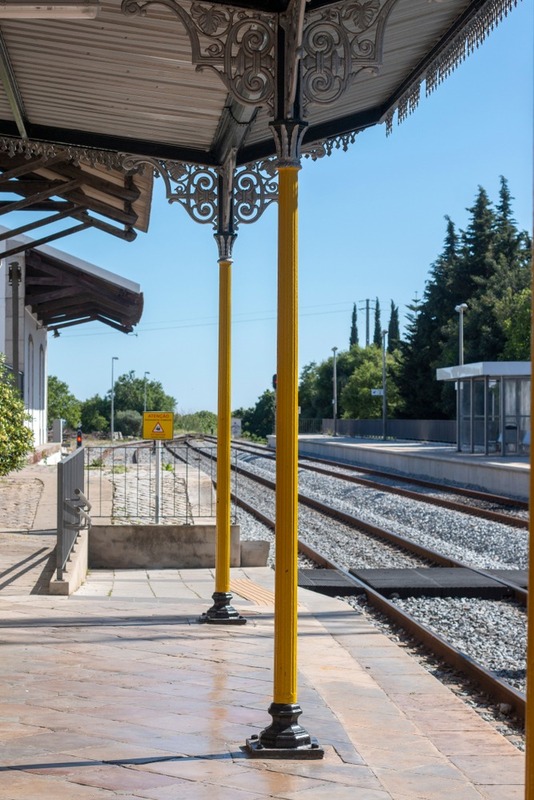 However, many of the towns and resorts in the central and western Algarve have train stations that are quite some distance from the places they serve. A good example of this is Albufeira. The town’s train station is actually in the village of Ferreiras, over three miles north of the town. Sadly, the buses aren’t always well co-ordinated with the arrival of trains. Therefore, we’ve concentrated on towns where you can enjoy more seamless and hassle-free travel. Faro, the Algarve’s elegant but compact capital city, is a place many tourists know only for its airport. However, the city itself has bags of charm and loads to offer. This applies both as a place for permanent living and as a destination for an extremely convenient holiday home. You can get into Faro from its airport by taxi or bus in 15 minutes or less. Once there, you’re at the hub of all Algarve public transport. Both bus and train stations are in close proximity. The city itself has a beautiful walled old town, an attractive marina area, and lots of restaurants and pavement cafes. Ferries and water taxis run to stunning island beaches. Although the city has a laid-back pace all year round, there are plenty of events. These range from regular markets to large concerts, including those at the huge annual motorcycle rally. Served by two train stations (Tavira and Palma Nova), Tavira is a perfect destination for a car-free life in the Algarve. It takes around 40 minutes to get there, by regular train from Faro station. Tavira is a well-known destination for discerning tourists and international residents. It’s a small and picturesque city, complete with a castle, a “Roman” bridge, a small amphitheatre and over two dozen individual churches. 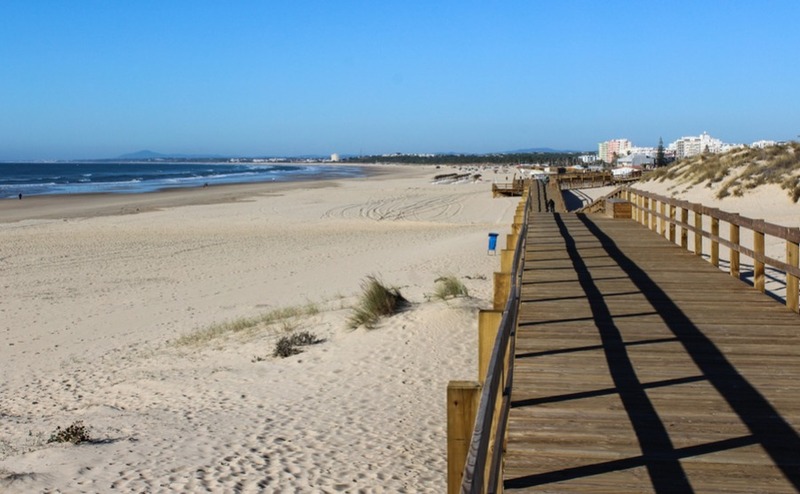 The award winning Ilha de Tavira offers miles of fine sand, and is a short ferry ride away. Part of Tavira’s charm is undoubtedly that it remains a working city. Beyond one small group of tourist-focussed restaurants, this is a place that feels authentically Portuguese. There’s also a fantastic choice of property, from rustic townhouse renovation projects, to super-modern condominiums on the outskirts. Read more about Tavira here. When you’re ready to buy a property, a good lawyer is worth her weight in gold! Get in touch with one of our carefully selected legal partner today. Right next door to Tavira, just one stop further on the train, you find Cabanas (de Tavira). Don’t be surprised if you don’t find “Cabanas” on the train map. This because it’s served by a station called Conceicão, just five minutes walk away. Cabanas de Tavira is an old fishing village that also serves as a thriving seaside resort. It’s hugely popular with overseas residents, especially those from the UK and Holland. Its stunning location overlooks the Ria Formosa nature reserve, and there’s a fabulous island beach that you reach in just two minutes by boat. Cabanas is hugely popular with tourists from Spain, and from Lisbon and Porto. It has two very busy summer months, but the rest of the time offers the perfect blend of serenity and things to do. New residents also have the choice of basing themselves in the village itself, or the neighbouring village of Conceicão where there are plenty of modern property developments. Monte Gordo (literal translation: “fat mountain!”) is the last Portuguese resort town before you reach the Spanish border. It’s about an hour away from Faro by an easy direct train. A traditional resort, Monte Gordo caters as much to Spanish day-trippers and tourists from Holland and Germany as it does to Brits. This makes for a pleasant, cosmopolitan atmosphere. The beach is stunning and huge, and directly connected to the land, unlike many East Algarve beaches. Those “in the know” are also aware that this is where you find the warmest sea water in Portugal! There’s a good range of shops and restaurants, and also a large casino. Property ranges from beach-front apartments to larger homes slightly inland. 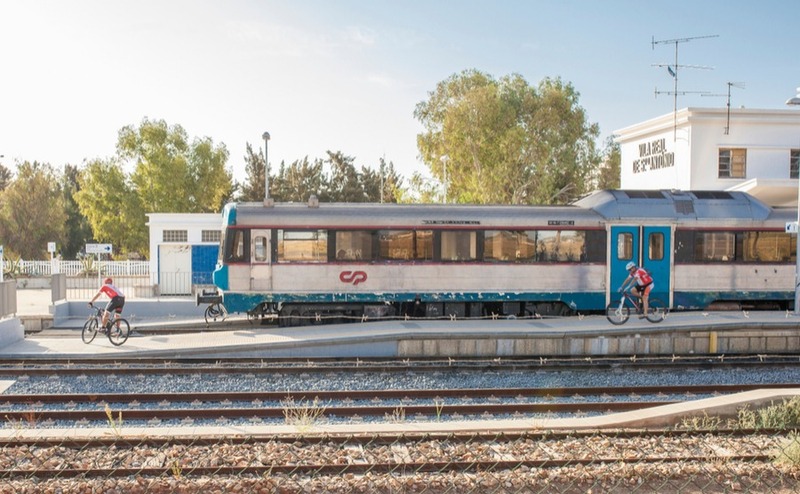 Right at the other end of the Algarve public transport system, you find Lagos, at the western end of the train line. The journey takes one hour and 45 minutes by train from Faro. Lagos is somewhere where you could happily spend all your time within the city limits. There are cove beaches, windswept surf beaches, a modern marina, and a rustic and characterful old town. Lagos attracts tourists from all over the globe, and is somewhere where you often hear accents from Australia and the US. Lagos is admittedly more of a trek from the airport than the other towns suggested on this list. However, the journey from Faro is direct. There are definitely worse ways to spend your time than chugging through orange groves on your way to some of the Algarve’s finest beaches! Algarve public transport is inexpensive, simple and reliable. If you’d rather not get behind the wheel, there’s no need to if you choose one of these destinations. If you’re ready to buy a home in Portugal this summer, get your free ticket to Your Overseas Home. 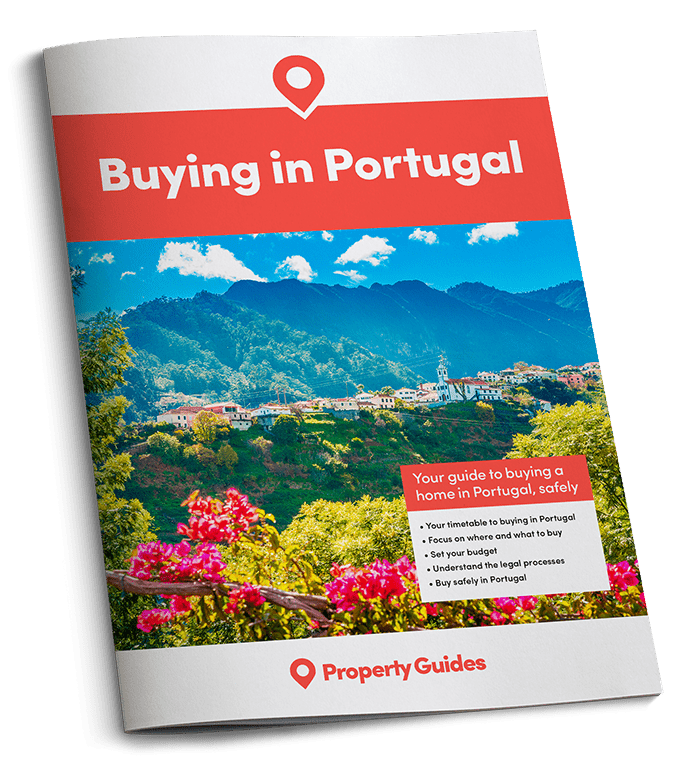 There will be legal and currency specialists, plus gorgeous Portuguese homes for sale. See the video below to see what it’s all about.